Newspapers, this morning, had a lead choice between the Prime Minister’s Lok Sabha speech or the Reserve Bank of India (RBI)’s monetary policy review. While The Times of India, Hindustan Times and The Economic Times have page 1 flaps to accommodate both, The Indian Express chose RBI and a “Hail Noida” storm in the capital above the PM’s speech. However, today’s biggest story is in The Hindu that made the unusual decision to carry the PM’s speech on page 10 and lead instead with its exclusive investigation into the Rafale deal. The Hindu chairman N. Ram reports that the PMO held ‘parallel discussions’ with the French government on the Rafale deal. This report comes a day after the prime minister and Congress President Rahul Gandhi traded charges on the deal. 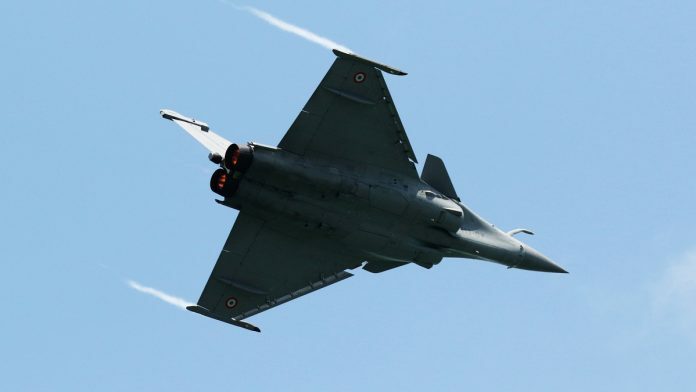 In “Defence Ministry protested against PMO undermining Rafale negotiations,” Ram states the ministry “strongly objected” to the parallel negotiations held by the PMO because it “weakened the negotiating position of MoD and Indian Negotiating Team,” quoting a note dated 24 November 2015 — there’s a photocopy of the note, too. The report says that in the government’s submission in the Supreme Court, October 2018, “There was no mention of any role for the PMO in these negotiations.” Documents accessed by The Hindu suggest otherwise: the PMO did intervene, taking a position “contradictory to the stand taken by MoD and the negotiating team.” That resulted, in a deal “which bore little resemblance to the original,” writes Ram. HT and TOI are surprised by RBI chief Shaktikanta Das’s inaugural policy decision: “RBI guv surprises Street with rate cut in 1st policy” (HT). “Das debuts as RBI guv with surprise rate cut” (TOI). “…RBI governor Shaktikanta Das announced a quarter percentage point (25 basis points) rate cut, citing lower than-expected inflation,” writes TOI. Express in “RBI cuts rate, signals further softening to focus on growth” is more matter-of-fact. The rate cut is “signalling its intention to focus on growth…” it writes in its ‘Explained’ box. The RBI’s changed policy stance from ‘calibrated tightening’ to ‘neutral’ “indicates that the central bank remains ready to move in either direction based on incoming data,” writes The Hindu. “Modi defends govt on jobs, farms in LS pitch” is HT’s other lead. Newspapers describe his speech as “combative” (TOI), and “PM tears into Congress” (IE) and “aggressive” (HT). Newspapers give space to the Mahila Congress chief Sushmita Dev, who promises to scrap the triple talaq law if Congress comes to power. Express puts it on page 1, TOI squeezes it into a box on the page’s margin. Editorial comment has welcomed the RBI’s monetary policy review announcements, almost “without reservation” (Economic Times). HT’s “Rate cut: RBI’s growth gamble,” calls the cut and move from ‘calibrated tightening’ to ‘neutral’ “a radical step for an institution that rarely takes chances.” However, it is “a gamble of sorts. Or actually three gambles,” thinks HT. The RBI “appears to signal a closer alignment between the RBI’s mandate for price stability and the government’s concerns for higher growth. This is a heartening development,” it concludes. The second reason is “political economy.” “Farm distress cannot be resolved without ending farm price repression,” it writes. Parliament was the newsmaker of the day with Prime Minister Narendra Modi and Congress leader Mallikarjan Kharge leading the charge during the motion of thanks in the lower House Wednesday. Most of the prime time TV was devoted to Modi’s speech. Coincidentally, the PM spoke on a day when the ED had questioned Robert Vadra on corruption charges for the second successive day. Times Now anchor Navika Kumar’s ‘Newshour’ debate on Prime Minister Narendra Modi’s speech heated up when political analyst Nishant Verma began to speak. A much meeker Bhatia reminded him that the Army’s surgical strike took place under the BJP government. Republic TV anchor Arnab Goswami took his cue from PM Modi’s “Mahamilavat Gatbandhan” comment.